Oakstock returns to Sheffield for two days of live music, beer, BBQ and the ultimate summer festival vibes in Mosborough! We’ve teamed up with the festival to offer one lucky reader the chance of winning a pair of VIP tickets that you can redeem for one free pizza and one free drink per ticket. To enter the competition, head here and fill in your details. Winners will be drawn early next week! Previous editions of this free entry event have raised up to £1000 for Macmillan Cancer Support. This year True North Brew Co are hoping to raise even more for charitable causes. Whether you’re into old school rock n’ roll or local favourites, Oakstock has got you covered. The festival will showcase brilliant live music with music performances from the likes of The Ruby Blues and Risky Heroes starting from 6pm until 10pm. Afterwards the stage will be handed over to the DJs to keep the party going into the night. Other up-and-coming artists performing include Just Alfie, Aureya Rose and more. The British Oak will also be serving their brilliant wood-fired pizzas alongside a wide range of craft beers and ales to keep festival-goers nourished. Some of those on offer will be the range of beers created by True North Brew Co, the company behind the British Oak. 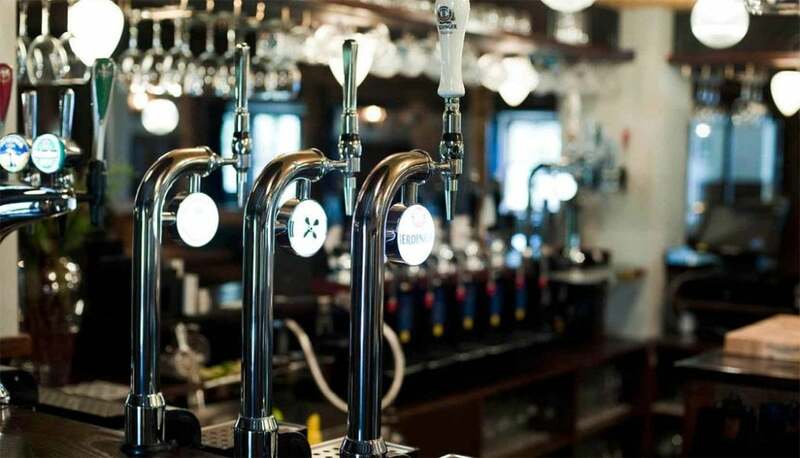 With their brewery on Eldon Street in Sheffield city centre, they have produced an impressive range of IPAs, pale ales and porters for whiling away the summer’s afternoon with. After buying and refurbishing The British Oak in 2014, True North Brew Co were keen to revive the original popular music festival ‘Britfest’ which had been held in the pub’s grounds for three years. Rebranded as ‘Oakstock’ that same year, the event was a booming success that has been growing ever since. Oatstock 2017 takes place on June 30th – July 1st at British Oak Ale House. This is a free event. You can like their Facebook page or tweet them using the hashtag #Oakstock at @BritishOakShef.